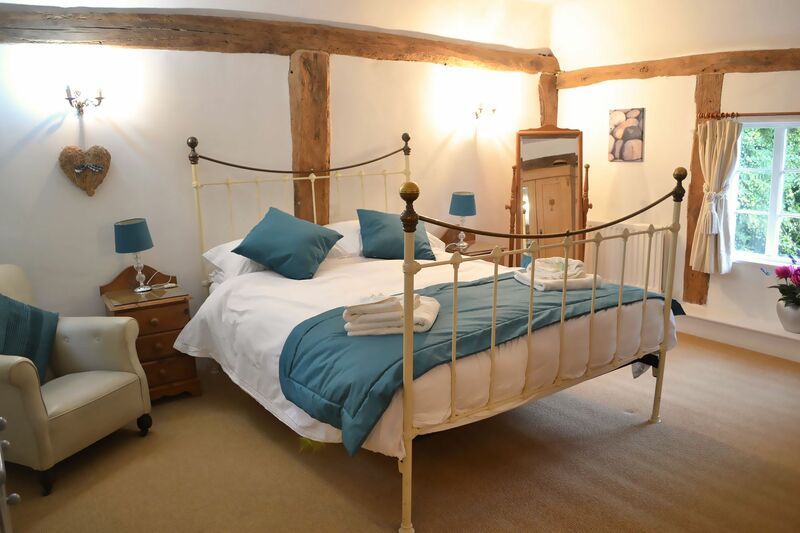 The 15th Century Thatched Farmhouse and Barns have a rustic ambience with charming features and are elegantly furnished throughout. A comfortable home-from-home, designed with your comfort and relaxation in mind, beautifully done with great attention to detail. 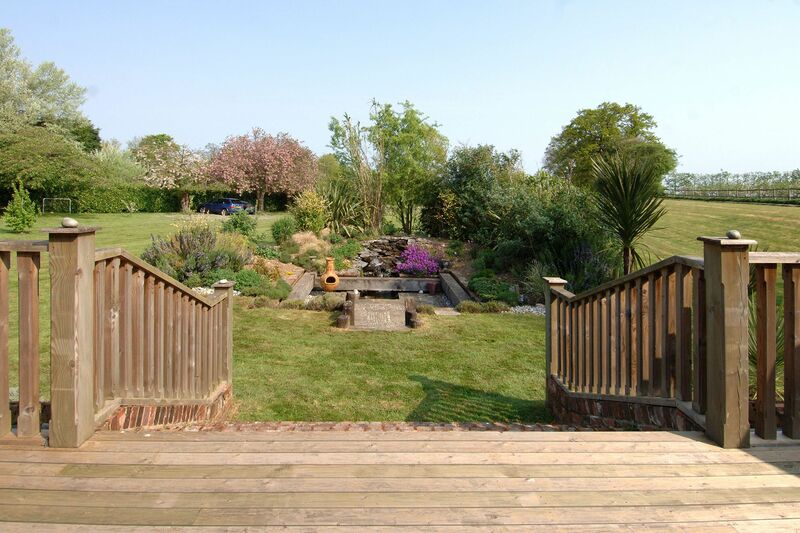 Situated in an idyllic village in the heart of Kent with 2 acres of grounds. An ideal base for family get-togethers for up to 18 guests at any time of the year with ample parking. Its design spread over three self-contained buildings with spacious proportions is perfect for the family that want to holiday together but have their own space as well. Available for mid week and short breaks. 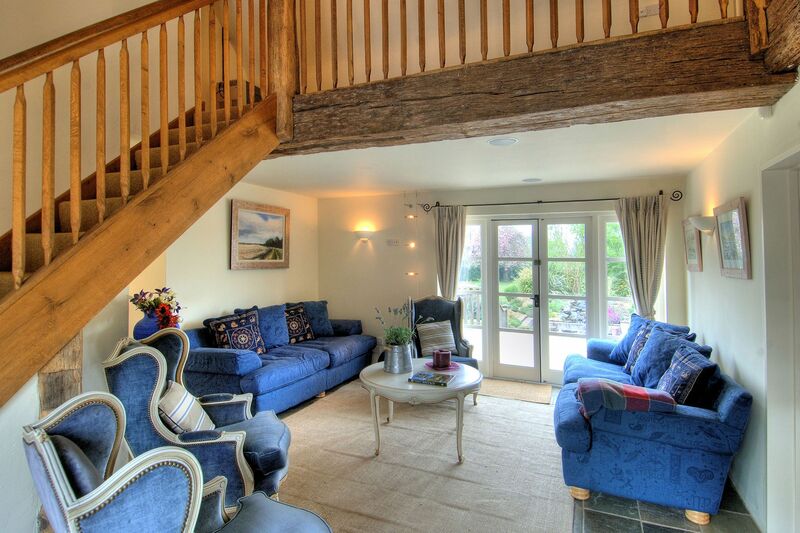 The ideal setting for Autumn and Winter breaks, a New Year gathering or Christmas morning. From country walks to Christmas markets, the outdoors can be enjoyed at the most unexpected times. 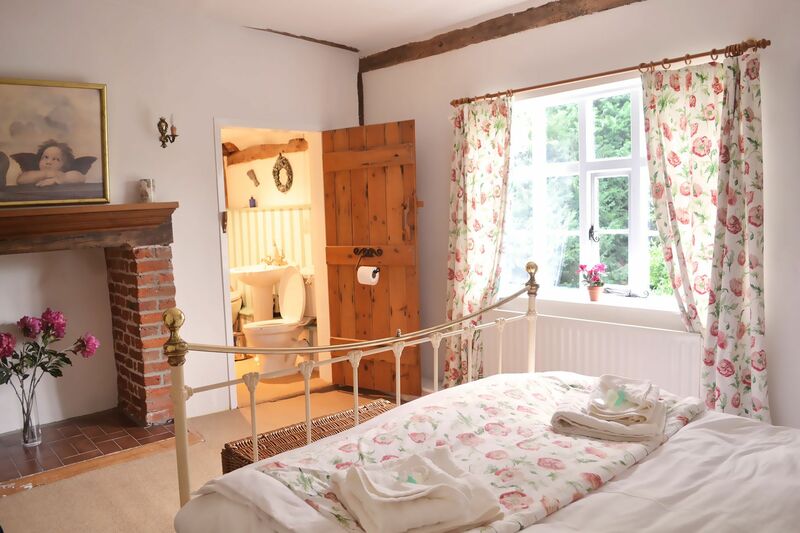 The accommodation is warm and cosy with central heating, comfortable beds, 3 cosy wood burners and an oil-fired range cooker in the Farmhouse. 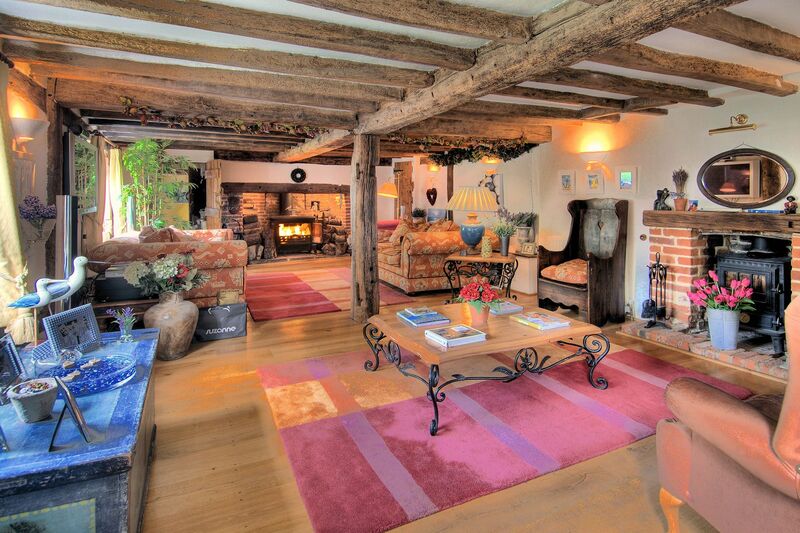 Character features include exposed timber beams, high pitched ceilings, huge fireplaces and oak floors. Indoor activities include a billiards room, a library, sauna, cinema room, Sony Blu Ray player, PS3 and a selection of games. 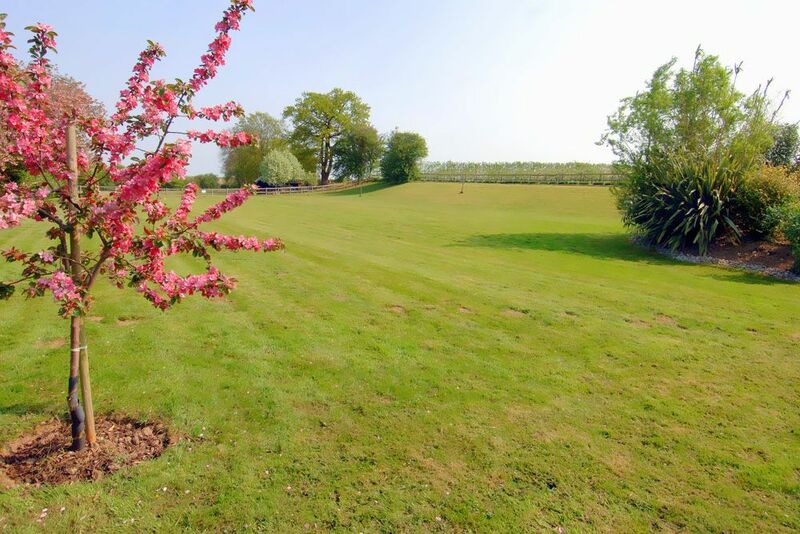 Beautifully landscaped gardens with a sunken walled garden, water feature and views to the village cricket pitch and adjacent orchards. 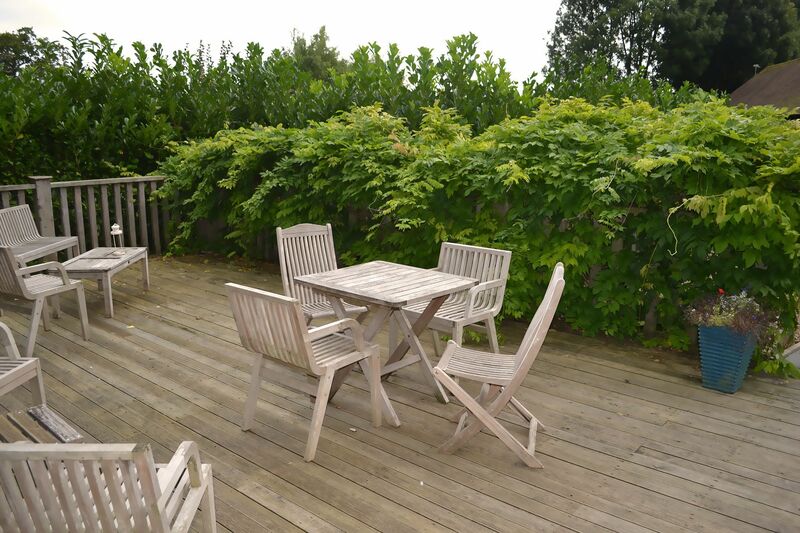 Private decked areas and seating for 18 people on a large decked area with gas barbecue, perfect for alfresco dining. Take a dip in the warm swimming pool (heated between 1 May and 30 September). The nearest Pub, The Red Lion, is only a 10 minute stroll. 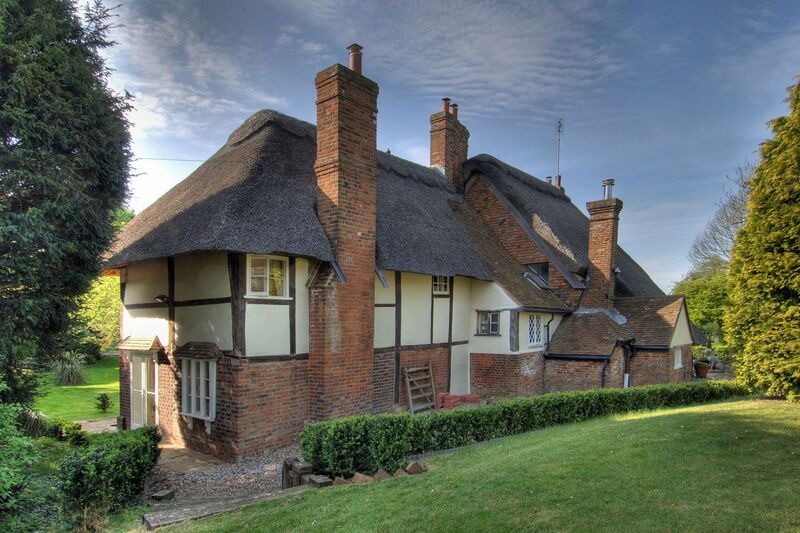 The perfect base for exploring the delights of Kent. 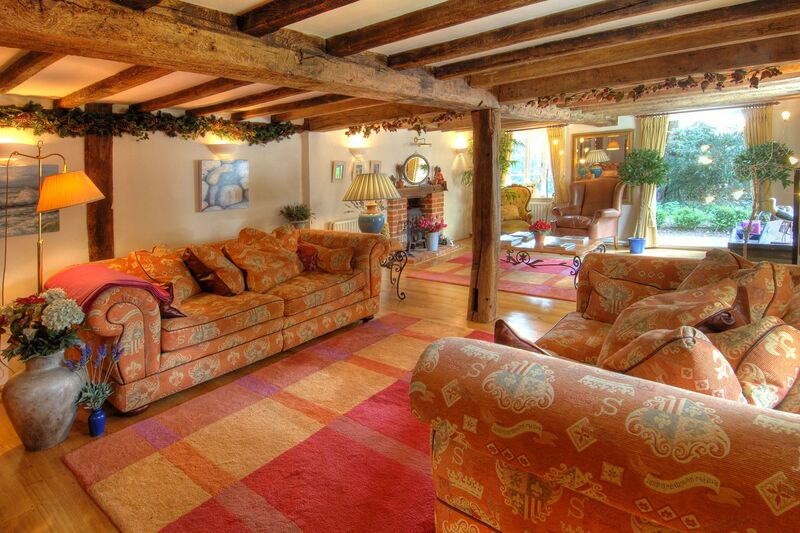 Within easy reach of the culture-rich towns of Faversham and Whitstable and the Cathedral city of Canterbury. 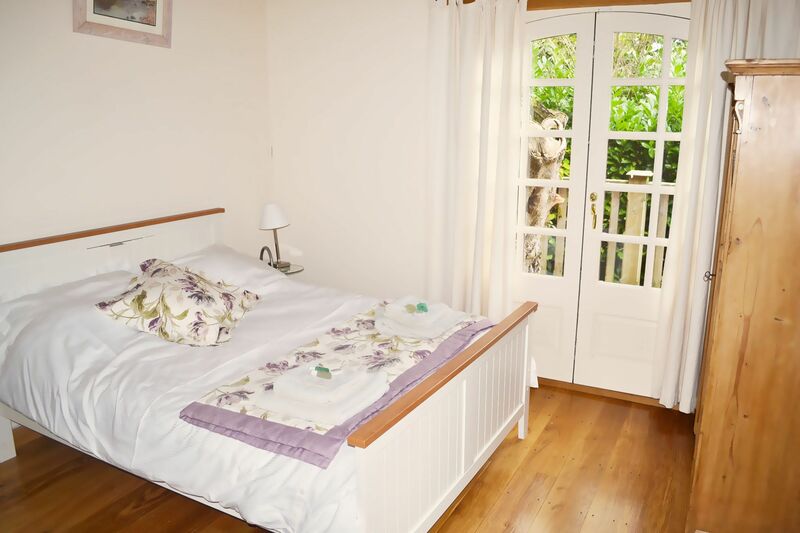 Conveniently located for access to and from Europe with the Eurostar and Channel Tunnel approximately 25 minutes drive. London can be reached within an hour by train from Sittingbourne (3 miles away). Drawing room with solid oak flooring, exposed beams and two fireplaces with cast iron wood-burning stoves and large inglenook. The main staircase to the first floor leads from the drawing room. 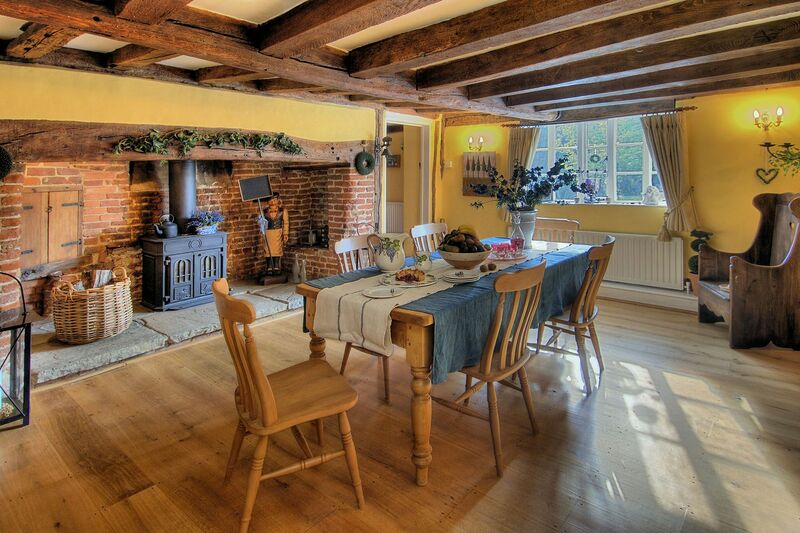 Dining room with seating for 18 guests, solid oak flooring, exposed beams and with cast iron wood-burning stove and former bread oven, all housed in a very large inglenook. The kitchen/breakfast room with small table seating six has an oil-fired cast iron range, and to the rear, a seating area and a door leads outside. A secondary staircase leads to the first floor. Master bedroom with 5′ double bed, with en suite bathroom with a corner bath. 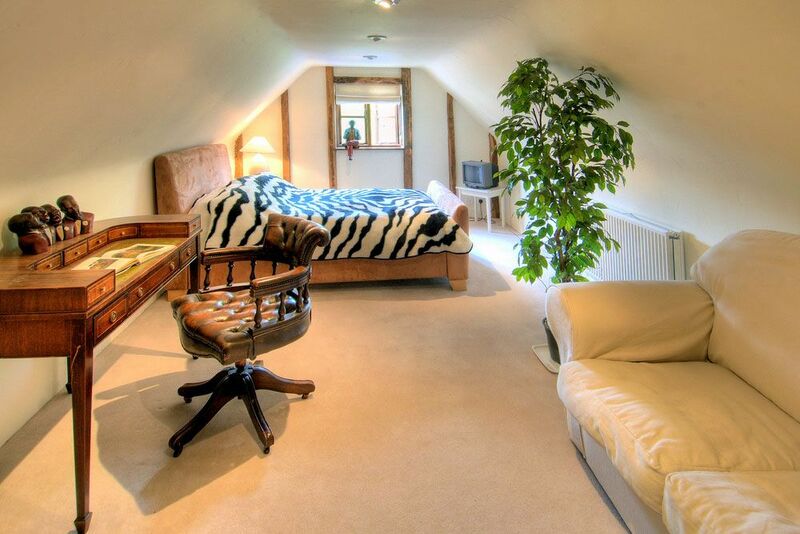 Double bedroom with 5′ double bed and en suite bathroom. 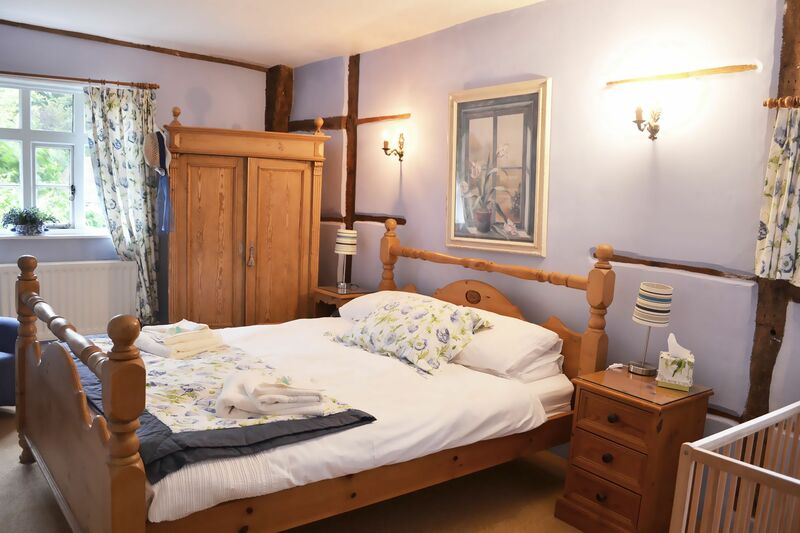 Double bedroom with 5′ double bed. Single bedroom with 3’1” single bed with decorative fireplace. 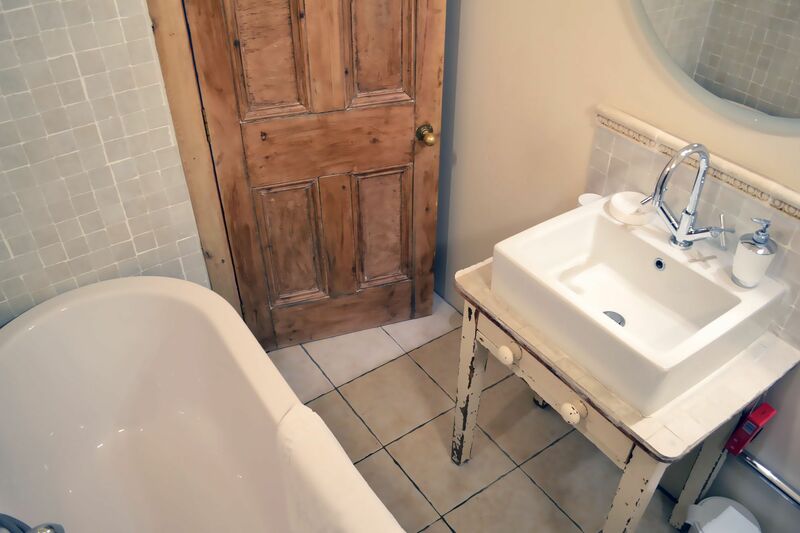 Bathroom with steps up to a sunken bath. 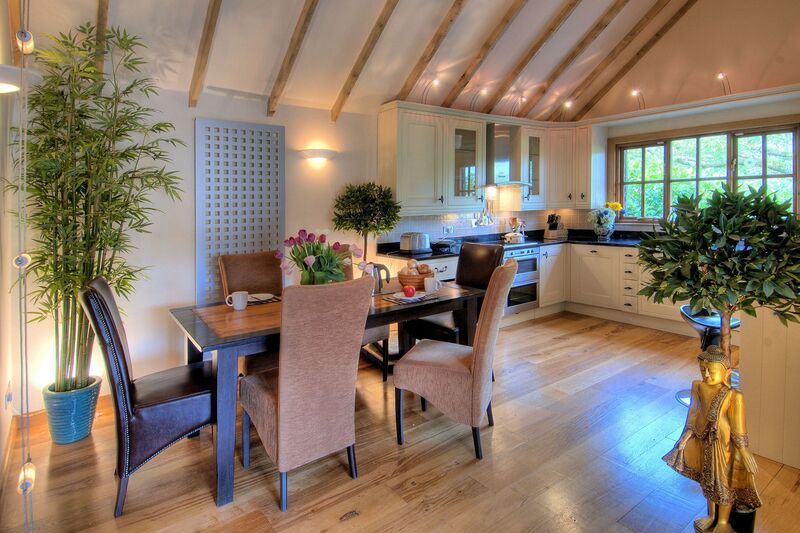 Vaulted reception area and open plan kitchen/dining area seating six. Master bedroom with 6′ zip and link bed with en suite wet room. All bedrooms have French doors that open out on to the wrap round deck. Dining area seating 6 Guests with a lounge area and a set of doors leading to the main decked area with garden furniture. 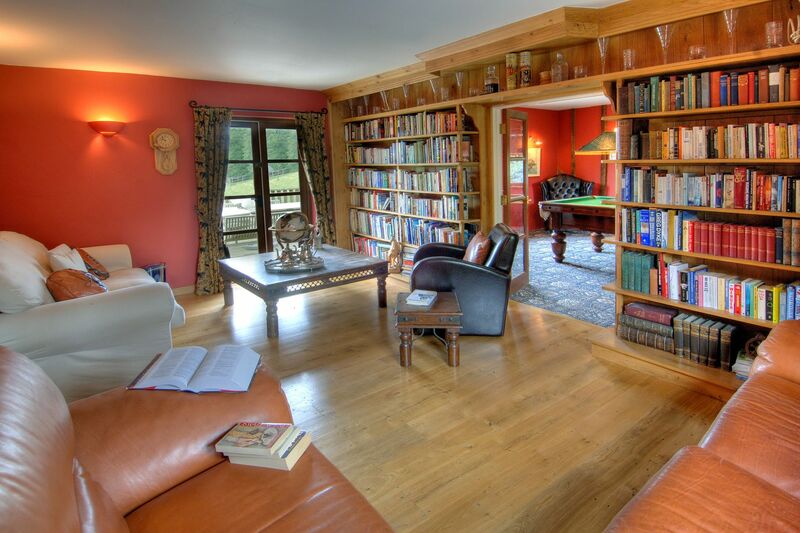 Doors lead to the library which in turn leads to the billiards room with snooker and pool balls. Kitchen/breakfast room with utility area. 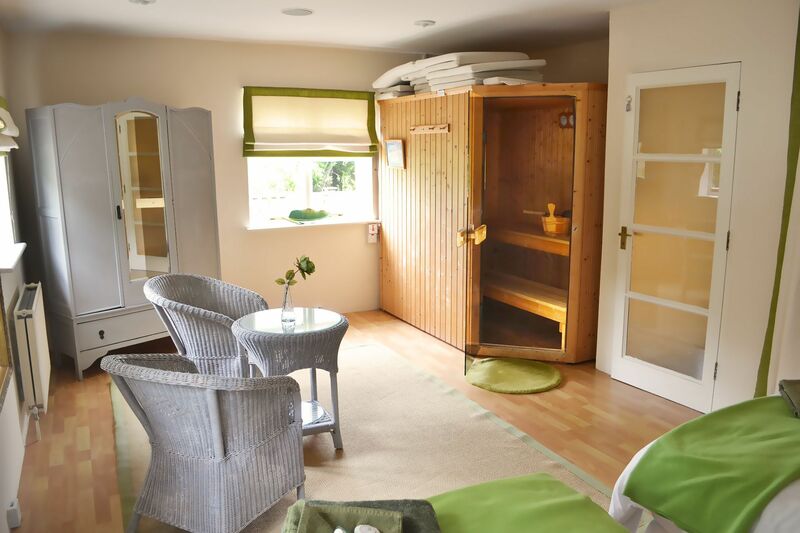 Double bedroom with 6′ zip and link bed with sauna. Study with door leading to the deck. Single bedroom with 3’4” bed. Cinema room seating 18 with a large HD 47″ flat screen smart TV with HD Freeview which is WiFi enabled allowing sycnhronisation with ipad and mobile devices, great for sharing photos etc. Also provided are Sony Blu Ray player, PS3 with selection of games, Stereo. 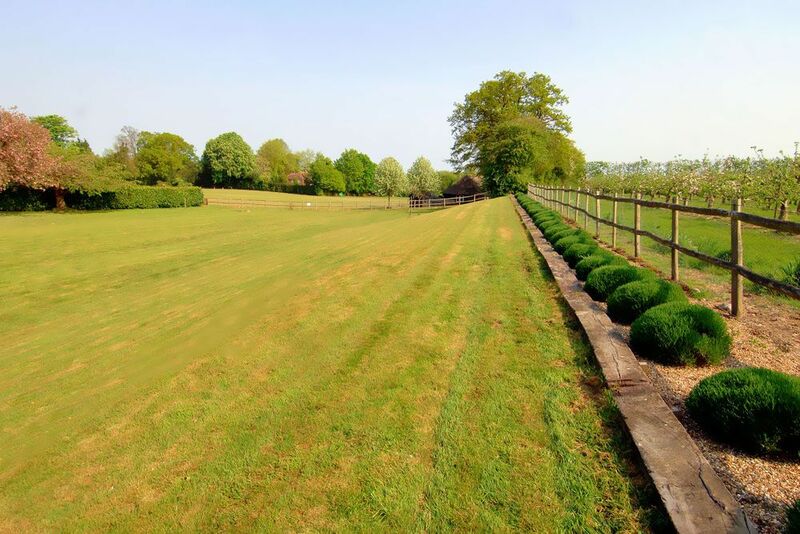 Beneath big skies, in big spaces, create wonderful memories at Manor Farmhouse. 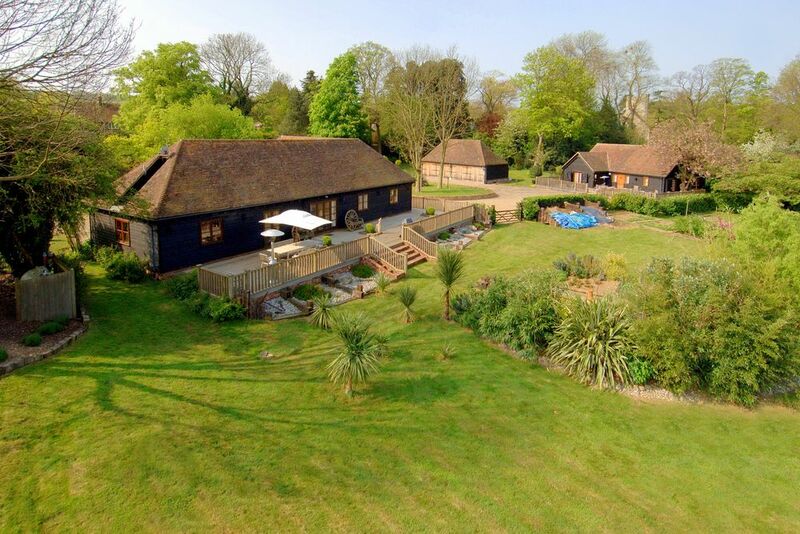 Located in the lovely village of Milstead in glorious Kentish countryside, the accommodation comprises three super houses, each with their own character and style, together sleeping 18. And for total relaxation, you’ll appreciate the two acres of beautifully landscaped gardens to roam around, with private decked sitting areas. 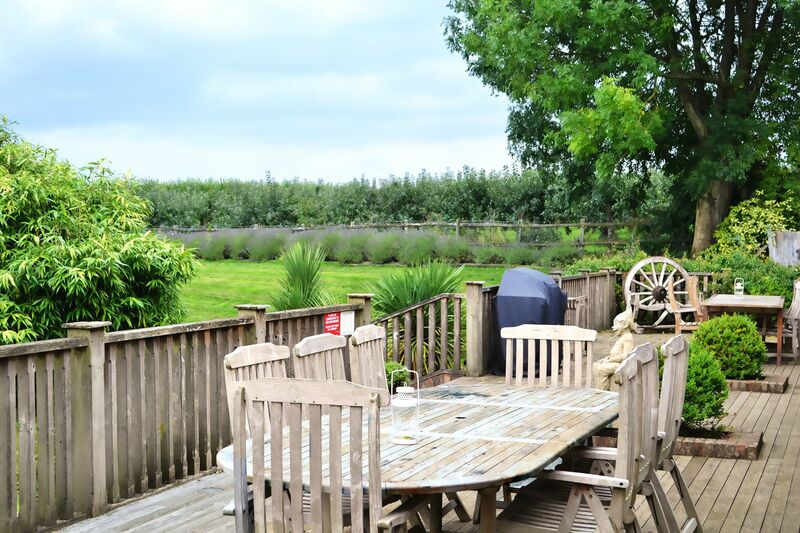 A large decked area, with outdoor seating for 18 and a gas barbecue, is perfect for everyone to dine al fresco. For further entertainment, there’s a home cinema, with HD Freeview, PS3 with a selection of games, library, billiards room with snooker and pool balls and sauna. 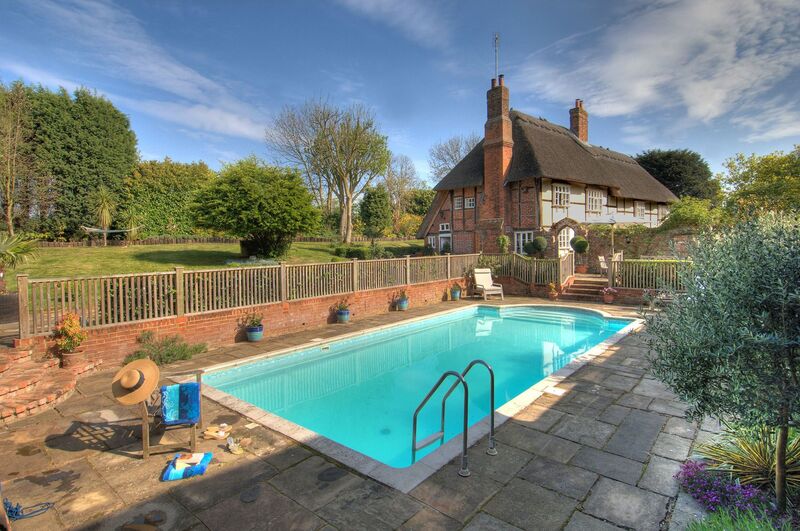 Manor Farmhouse has a fabulously warm outdoor swimming pool (heated between 1st May and 30th September), surrounded by a paved patio. There are plenty of outdoor games provided, including football, goalposts, swingball and a rounders set. 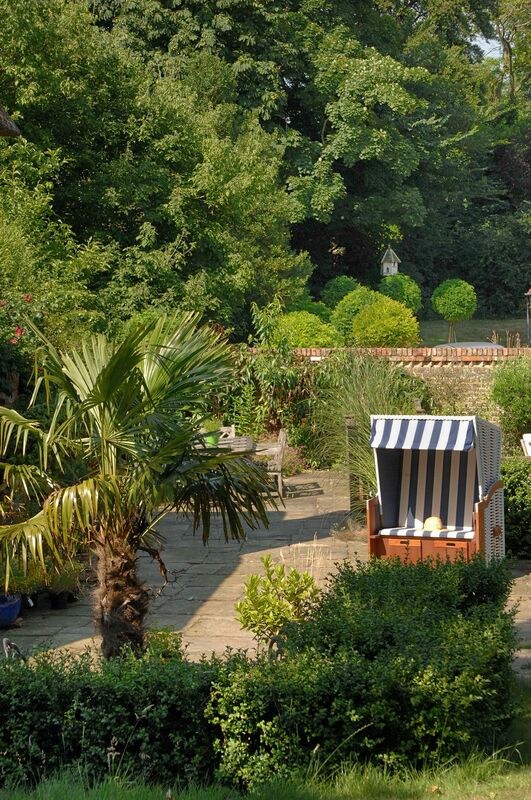 Guests can be forgiven for not wanting to venture out into the beautiful Kentish countryside! Approached through electric gates and arranged around a large courtyard, the layout is ideal for a family gathering to celebrate a special milestone or a get together for a relaxing break. Perfect for those who want to chill and relax with a little time to themselves, each spacious property is self-contained enjoying its own facilities including a kitchen, dining and sitting area. 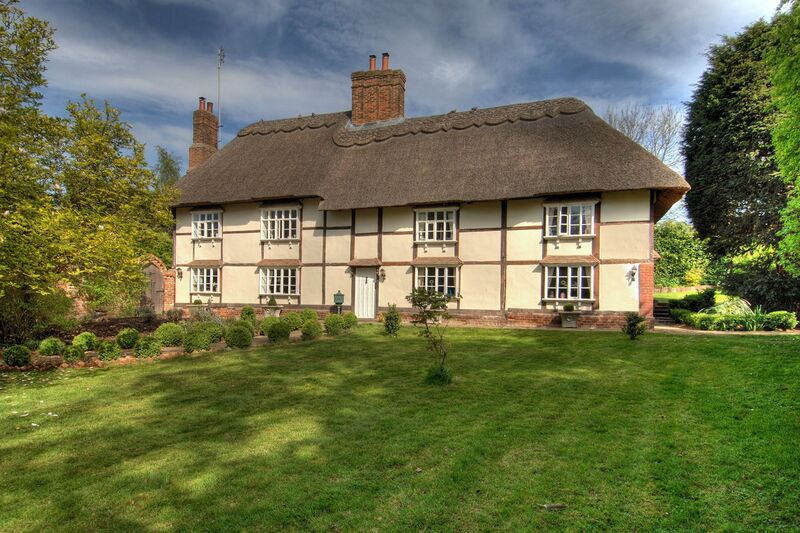 The focal property is the 15th century thatched timber framed Farmhouse, sleeping seven. 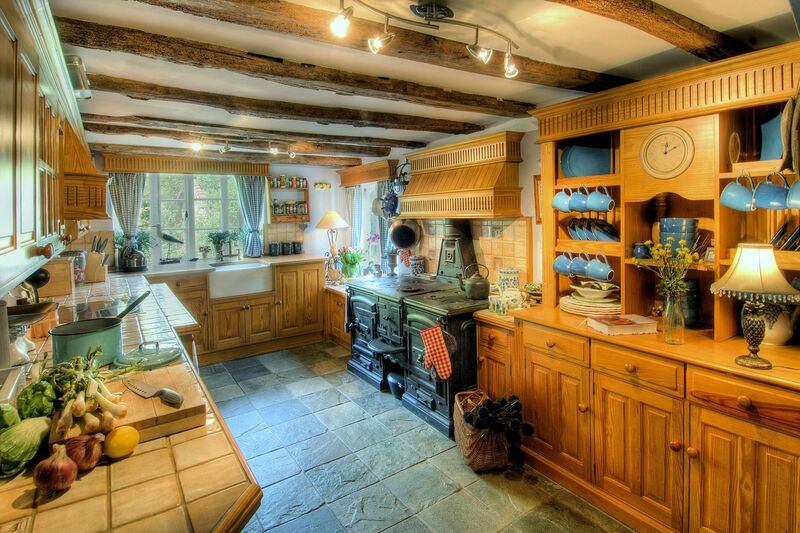 Charming features throughout include exposed timber beams, solid oak floors, beautiful large inglenooks and an oil fired range in the kitchen. 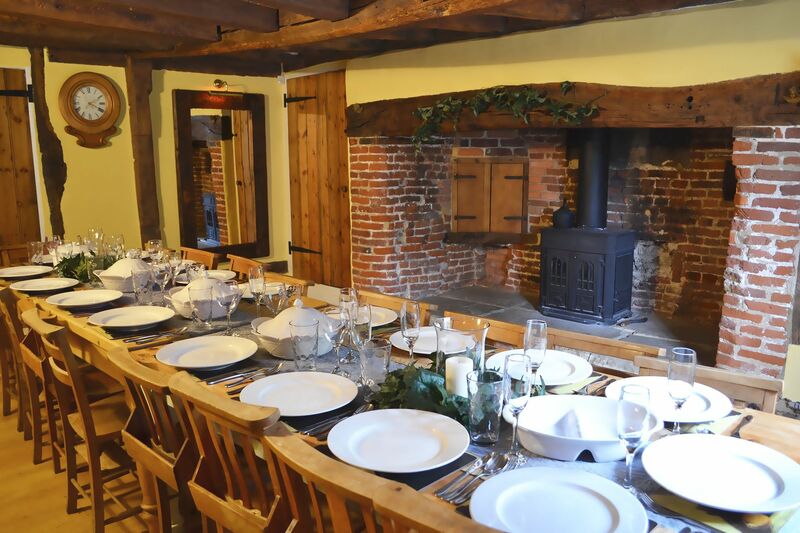 Its beamed dining room provides seating for all 18 guests and features a cast iron wood-burning stove and original bread oven, all housed in very large inglenook. The magnificent drawing room is perfect for after-dinner get togethers with large comfortable sofas and armchairs, a splendid large inglenook and two cosy cast iron wood burning stoves. 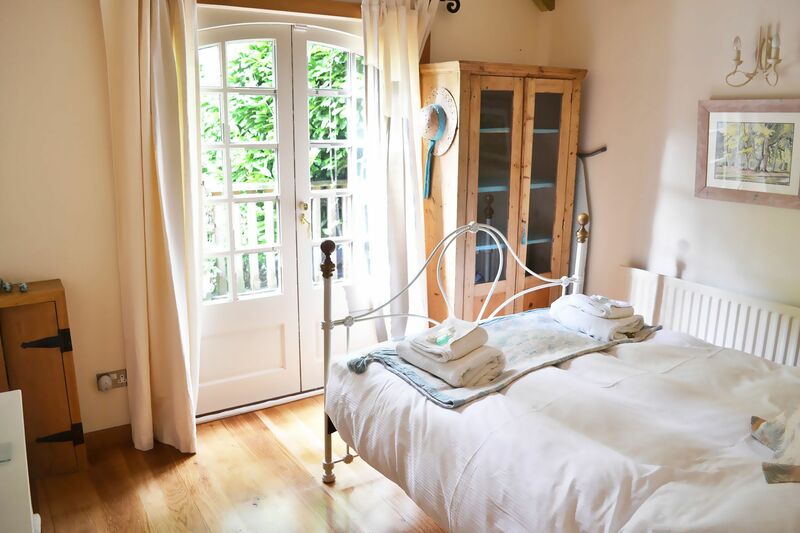 Stable Cottage has its own distinct character, providing ground floor accommodation for six – ideal for less mobile members of your party, with sloped access up to a wide raised decked area, a great the spot for a morning coffee. 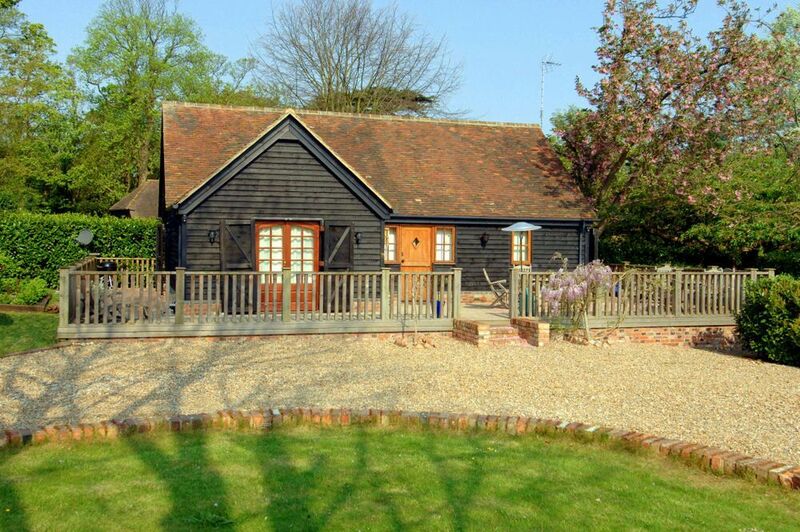 The appeal of The Barn, sleeping five, is its leisure complex! 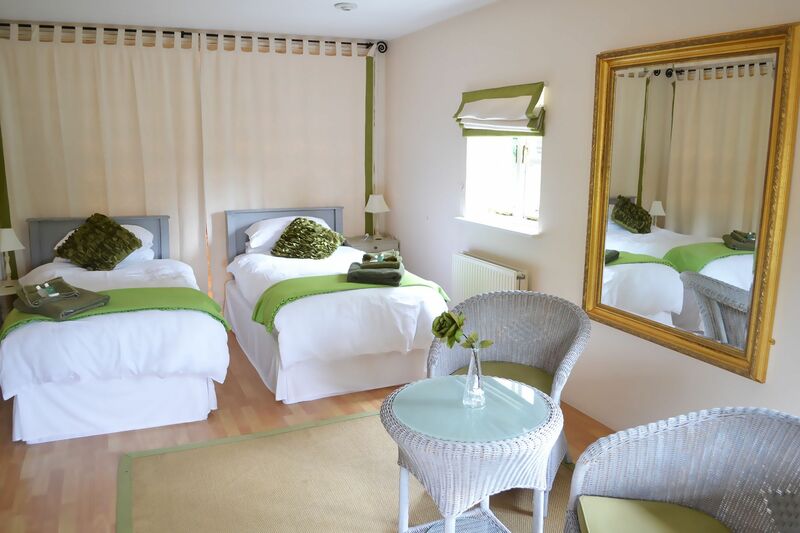 The large first floor cinema room accommodates all 18 guests and is equipped with a large HD 47″ flat screen smart TV with HD Freeview which is WiFi enabled allowing sycnhronisation with ipad and mobile devices, great for sharing your holiday photographs. Enjoy movies together on the Sony Blu Ray player or play games on the PS3. 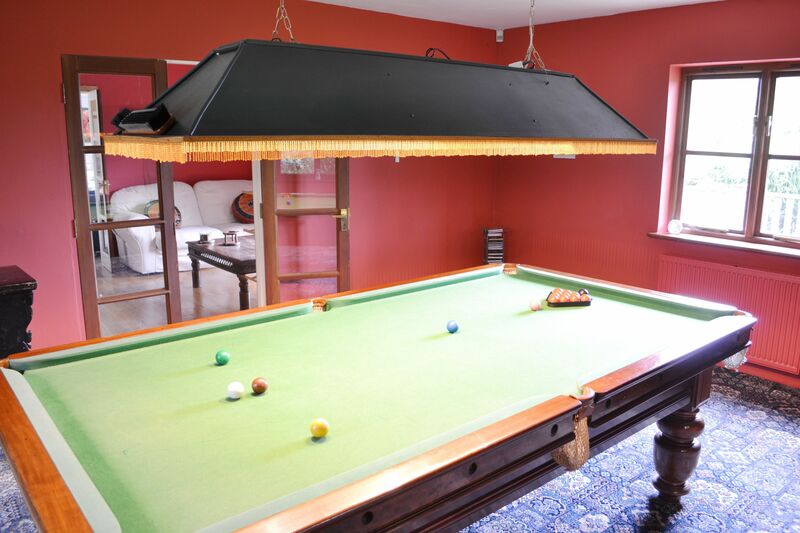 The ground floor incorporates the pool’s changing rooms as well as a billiards room with snooker and pool balls. 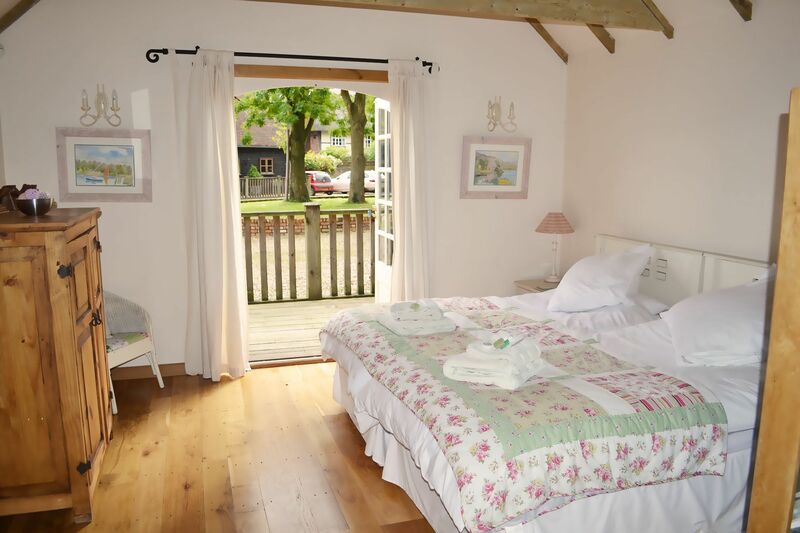 The ground floor bedroom has the benefit of a lovely warm sauna, ideal for muscle relaxation after a long day! 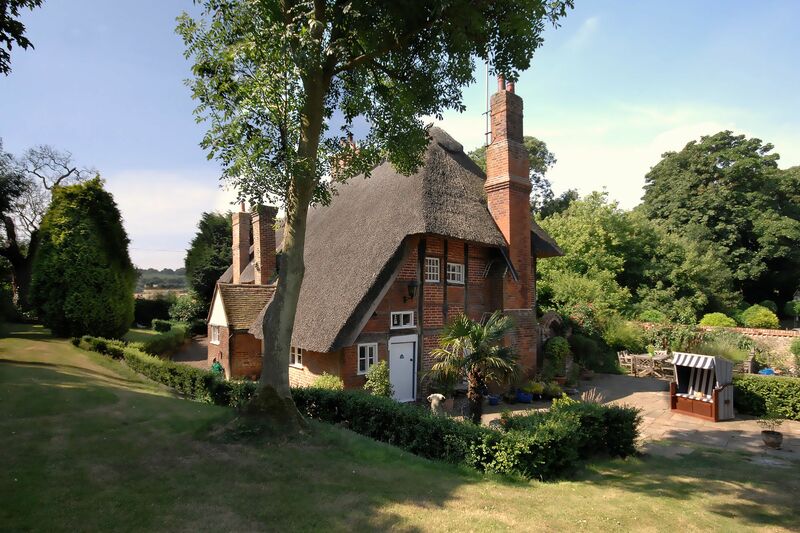 Situated in the midst of the charming village of Milstead in the heart of Kent, Manor Farmhouse is nestled between the Church of St Mary and the Holy Cross, the Manor House and the village cricket green. The local village pub, The Red Lion, is only a 10 minute stroll away. Known as the Garden of England, this area of the North Downs, classified as an Area of Outstanding Natural Beauty, is surrounded by lush green fields and there are some great local walks, especially along the country footpaths along the Swale and up into the North Kent Downs. The town of Sittingbourne is only 3 miles away, whilst the medieval market town of Faversham, home to Britain’s oldest brewery “Shepherd Neame”, is only a short drive. 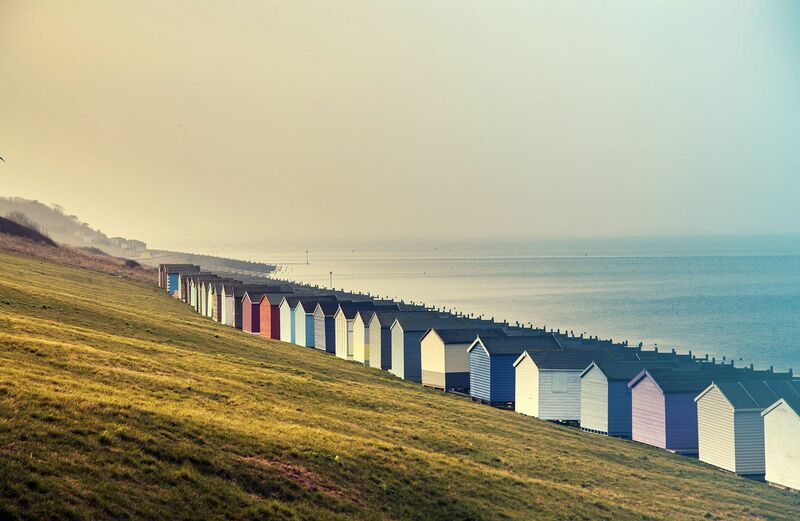 A 30 minute drive takes you to the popular coastal town of Whitstable and Herne Bay is also easily accessible. The historic cathedral city of Canterbury, with its quaint shops, cobbled streets, theatres, restaurants, museums and river trips is only half an hour’s drive. Leeds Castle, said to be one of the loveliest in the world, is also well worth a visit. Whitstable (18 miles). The beaches are pebbly and there are lots of activities including sailing, windsurfing and jet skiing, There’s even a pub on/in the beach! Herne Bay Beach (22.6 miles). Reculver Beach, Herne Bay (25.3 miles). West Bay near Margate (31.3 miles) is not too tidal and sandy even at high tide. Joss Bay, Broadstairs (36.3 miles) is a good sandy beach. Viking Bay (37.3 miles) is the main beach in Broadstairs which has a quaint seaside feel. 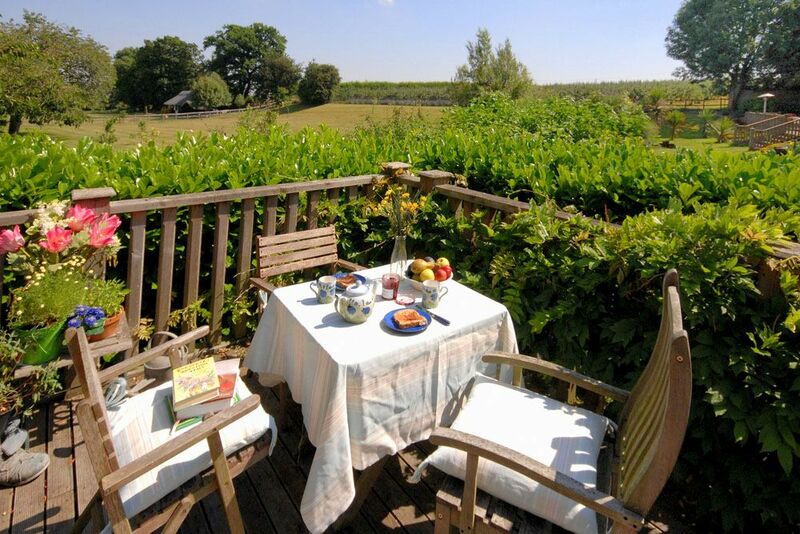 Harty Ferry near Faversham (30 minutes) is a delightful spot on The Swale about 1 mile north east of Faversham, which will suit walkers, boaters and bird watchers alike. Harty Ferry is the home of the Oare Marshes Nature Reserve, part of the Swale Site of Special Scientific Interest. The reserve, managed by the Kent Wildlife Trust, consists of some 170 acres of grazing marsh, dissected by fresh and brackish water dykes and bounded by an earth seawall and some salt marsh. Cromer’s Wood (1.2 miles), is a small reserve with a lovely pond and hide to watch the wildlife. Bluebells look fabulous in spring time. The wood has several trails and informal pathways. The Blean, lying between Canterbury and the towns of Faversham, Whitstable and Herne Bay, is one of the largest areas of ancient woodland in England – over 11 square miles. There are over 120 miles of public footpaths. Oare Gunpowder Works Country Park near Faversham (8.4 miles). Renovated remains of a gunpowder factory operating for 300 years until 1934. Industrial history and wildlife information boards throughout the site and in the Visitor Centre including models. There are some great local walks, especially along the country footpaths along the Swale and up into the North Kent Downs. Kent Wildlife Trust – Cromers Wood. The walk to the woods is 1.2 miles, approximately 20 minutes. Oare Gunpowder Works Country Park near Faversham (8.4 miles). Faversham – Two Creeks Walk, 5 miles long. Faversham – Footsteps of the Royalty and Romans walk, 6.25 miles long. Faversham – Earth, Wind and Water Walk, 10.3 miles long. Oare Marshes Walk – Boatyards and Buntings, 5 miles long. The Peasants’ Last Revolt walk, 5.25 miles long. A Walk on the Wild Side, 7.5 miles long. Syndale Valley Walk, 6.5/11 miles long. First Fruit, 2/5.5 miles long. A Land for all Seasons, 9.25 miles long. SITTINGBOURNE (3 miles). Bayford Meadows Kart Circuit in Sittingbourne (4.7 miles) is one of the country’s premier outdoor floodlit karting circuits. Sittingbourne Greyhounds (5 miles) offers an exciting evening of live greyhound racing action every week. FAVERSHAM Market Town (8.8 miles), home to Britain’s oldest brewery “Shepherd Neame”, is one of England’s most charming and historic market towns. Nestling between the rural beauty of the rolling Downs and the sweeping flatlands of the north Kent marshes, the town is both a lively, modern community and a heritage treasure. 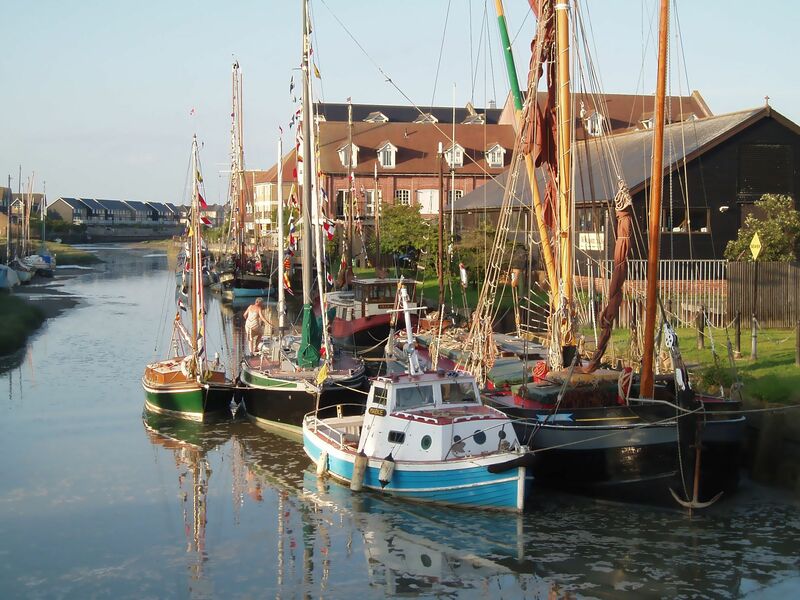 Attractions include Chart Gunpowder Mills, Faversham Brewery and Faversham Creekside. CHATHAM (14.7 miles). The historic dockyard at Chatham includes the RNLI Historic Lifeboat Collection, a working Victorian Ropery and 3 historic ships – HMS Cavalier, the submarine HMS Ocelot and HMS Gannet. Dickens World (16.4 miles) has an assortment of attractions to keep the whole family entertained; jump on board the Great Expectations Boat Ride for splashing good fun, take a trip back in time to a Victorian School complete with nasty schoolmaster or get spooked in The Haunted House of 1859. Visitors will get the chance to come face to face with some of Dickens’ literary characters in their magnificent rendition of a Victorian town courtyard! ROCHESTER (17.4 miles), including the second oldest Cathedral and a Castle (English Heritage) with the tallest Norman keep in England, well worth a climb for excellent views over the Medway. WHITSTABLE (17.8 miles) is like no other town by the sea. Its traditional charms, strong arts culture and rich maritime history complement Whitstable’s modern appeal. The town has lots of boutiques and independent shops and restaurants. The Greta Barge (Thames Barge) offers daily sailing trips from the harbour in the summer. 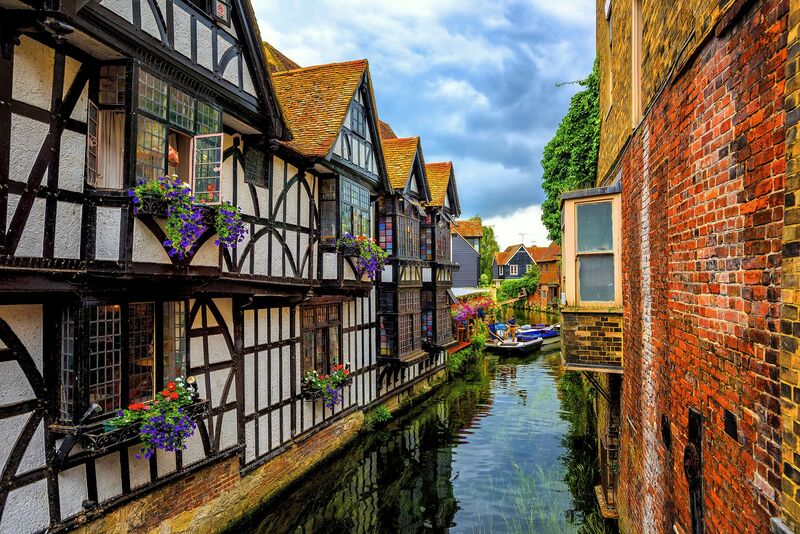 CANTERBURY (18 miles) has quaint shops, cobbled streets, theatres (Marlowe Theatre and Gulbenkian Theatre), restaurants, museums and river trips. Visit the magnificent Canterbury Cathedral, the oldest in England, the ancient ruins of St Augustine’s Abbey and St Martin’s Church which form Canterbury’s UNESCO World Heritage Site while other ancient ruins such as the Castle are reminders of the city’s history, heritage and culture. Doddington Place Gardens (3.4 miles) is a beautiful Victorian Mansion with 10 acres of gardens. The Hawking Centre is a specialist offers exclusive Falconry Experience with a stunning range of Birds of Prey on half day, full day and five day courses. Belmont House and Gardens near Throwley (7.6 miles) is a magnificent neo-classical house with beautiful gardens and the finest private collection of clocks in Britain. Leeds Castle (10 miles). Rising majestically from the still waters of its moat, surrounded by 500 acres of parkland and gardens, Leeds Castle is without a doubt one of the most beautiful venues in Kent. Coined ‘The Loveliest Castle in the World’, it is the perfect place for a great day out with the family. There is a Go Ape tree top adventure here – enjoy a 250m long zip wire with great views of the North Downs. Beech Court Gardens, Challock (13 miles). Sissinghurst Castle Garden (National Trust) near Cranbrook (20 miles) is an intentionally renowned garden developed by Vita Sackville-West and Sir Harold Nicolson around the surviving parts of the Elizabethan mansion. Bodiam Castle (National Trust) (28 miles). Knole (National Trust), a huge Tudor Mansion and Deer Park (29.3 miles) and the smaller Ightham Mote Manor House and Garden (National Trust) (26.5 miles) are near Sevenoaks. Dover Castle (English Heritage), Castle Hill, Dover (34 miles). Step back in time to King Henry II’s medieval court, go underground in the secret wartime tunnels plus much more. Penshurst Place & Gardens, Penshurst (34.6 miles) is described as ‘the grandest and most perfectly preserved example of a fortified manor house in all England’, with 11 acres of Elizabethan walled gardens. Chartwell (National Trust), Westerham (35.8 miles) was the principal adult home of Sir Winston Churchill. Deal Castle (English Heritage), Deal (38.7 miles) is one of the finest Tudor artillery castles in England. Walmer Castle and Gardens (English Heritage), Walmer, Deal (38.2 miles). Surrounded by beautiful gardens, Walmer Castle has a rich history and a charm all of its own. The Bredgar & Wormshill Light Railway (3.1 miles) is a delightful 2 foot gauge line near the village of Bredgar in a richly wooded area of the North Kent Downs. Why not spend a day enjoying the pleasures of this delightful railway on the public open days listed in the events section below. Brogdale Collections, Brogdale Farm, near Faversham (7.3 miles) is one of the largest fruit collections in the world. Maison Dieu (English Heritage), Faversham (8.1 miles). Originating as a 13th-century wayside hospital, this flint and timber-framed building now displays Roman artefacts from nearby sites. The BarnYard shop and restaurant, Gore Farm, Oak Lane, Upchurch (8.6 miles) includes a children’s pet/animal area, annual crop maize. Wildwood (23.8 miles), Kent’s unique British wildlife park & conservation charity, features British wildlife past and present in 40 acres of beautiful ancient forest near Herne Bay. 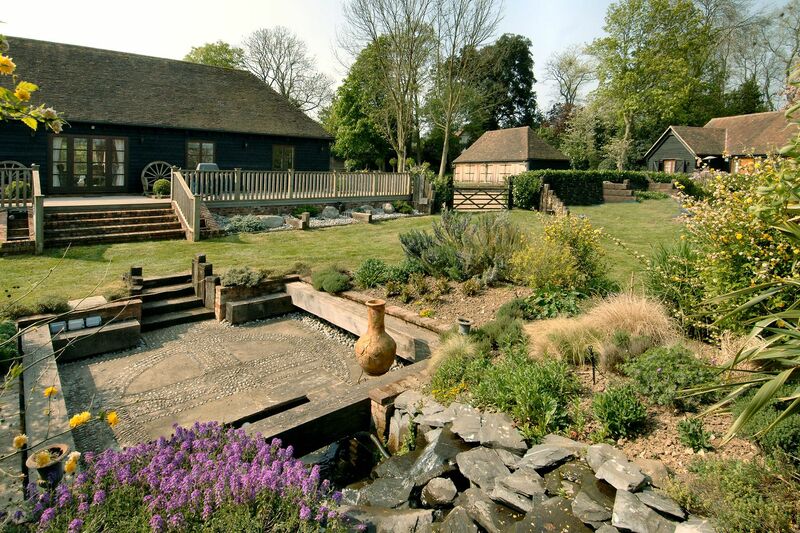 South Of England Rare Breeds Centre, Woodchurch (24.5 miles) is a 100 acre visitor farm set in beautiful countryside, run by Canterbury Oast Trust. Wingham Wildlife Park, near Canterbury (26 miles). Bedgebury Forest (26.7 miles) offers excellent bike trails, Go Ape tree top adventure and the best children’s adventure play trail. And the beautiful National Pinetum is just a stone’s throw away, making Bedgebury a fantastic day out near Tunbridge Wells. Howletts Wild Animal Park, Bekesbourne (28 miles) is a 90 acre animal adventure in beautiful ancient parkland that is ideal for great days out in Kent with the entire family. The Edith May Thames Barge, Lower Halstow (8 miles). Bayford Meadows Kart Circuit, Sittingbourne (4.7 miles). Buckmore Park near Chatham off the M2 (14.3 miles) specialise in Karting for all ages from 8 years upwards with four different circuit lengths. Leeds Castle tree top adventure here – enjoy a 250m long zip wire with great views of the North Downs. Bedgebury Forest tree top adventure and the best children’s adventure play trail (26.7 miles). Greenfields Shooting Grounds, Sturry Hill, Canterbury (20.6 miles). Deepdene Stables, Ashford Road, Badlesmere Lees, near Faversham (10 miles). Whiteleaf Stables, Teynham, Lower Road, Teynham, Sittingbourne (6 miles). Sittingbourne Golf Centre, Church Road, Tonge (5 miles). Sittingbourne & Milton Regis Golf Club, Wormdale Hill, Sittingbourne (7 miles). Faversham Golf Club, Belmont Park, Faversham (8 miles). Leeds Castle Golf Course, Maidstone (8 miles). Upchurch River Valley Golf Course, Oak Lane, Upchurch (8 miles). The Royal St George’s Golf Club, Sandwich (36.5 miles, an hour’s drive). The Red Lion (0.6 miles, 10 minutes’ walk) in Milstead is a traditional family run country pub. It has a good selection of Cask Ales, fine wines, lagers & locally pressed juices. The blackboard menu has a modern european style, the cooking is clean and honest with emphasis on locally sourced and seasonal ingredients. The dining room is available for large parties with menus tailored to your requirements. It has a large garden with patio area. The Sun Inn (2.1 miles, 5 minutes’ drive) is a beautiful 16th Century Country Pub Restaurant situated in the charming village of Bredgar. The Dirty Habit (5.7 miles, 13 minutes’ drive) is a beautiful 11th Century pub situated in the picturesque Kentish village of Hollingbourne. Set on The Pilgrims Way in a designated Area of Natural Beauty, with many walks and bike rides from the pub, it has been used by pilgrims on their way to Canterbury for centuries. It is reputed that King James II stayed at the inn whilst on his way to France via Canterbury and Dover. Full of period charm and character. Pantomime at the Marlowe Theatre, Canterbury (18 miles). Easter at Leeds Castle (9.8 miles). Easter at Brogdale, Brogdale Collections, Brogdale Farm (8.2 miles). 10am-3pm. Festival of Steam and Transport, Historic Dockyard, Chatham (15.4 miles). Cadbury Easter Egg Hunts, Sissinghurst Castle Garden (National Trust) near Cranbrook (20 miles). Cadbury Easter Egg Hunts, Bodiam Castle (National Trust) (28 miles). Egg Hunt & Family Fun, Doddington Place Gardens (3.4 miles). Easter Egg Hunt, Belmont House and Gardens, near Throwley (7.6 miles). Open Day, Bredgar & Wormshill Light Railway (3.1 miles). 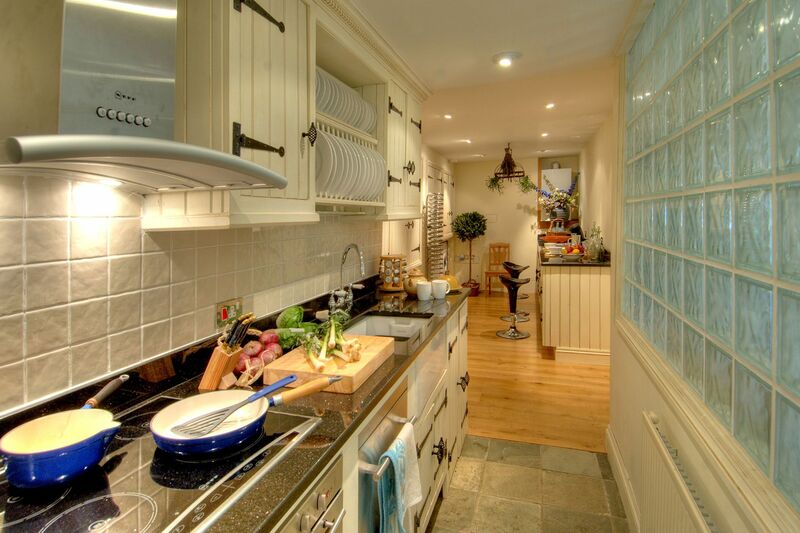 Children’s cookery classes, Belmont House and Gardens, near Throwley (7.6 miles). Hanami at Brogdale, Brogdale Collections, Brogdale Farm (8.2 miles). The Great Outdoors, Doddington Place Gardens (3.4 miles). Spring Fair, Belmont House and Gardens, near Throwley (7.6 miles). Motors by the Moat, Leeds Castle (9.8 miles). WhitLit, Whitstable Literary Festival, Whitstable (17.8 miles). Faversham Transport Weekend, Faversham (8.8 miles). The Grand Medieval Joust, Leeds Castle (9.8 miles). Half term trail, Bodiam Castle (National Trust) (28 miles). Jazz in the Garden, Doddington Place Gardens (3.4 miles). Whitstable Biennale, Whitstable (17.8 miles). Strawberry Fair at Brogdale, Brogdale Collections, Brogdale Farm (8.2 miles). Fun Day, Tankerton Slopes, Whitstable (17.8 miles). Classic, Vintage & Veteran Vehicle Show, Bredgar & Wormshill Light Railway (3.1 miles). Cherry Fair at Brogdale, Brogdale Collections, Brogdale Farm (8.2 miles). Whitstable Oyster Festival, Whitstable (17.8 miles). Classic Car Show, Beech Court Gardens, Challock (13 miles). Whitstable Week, Whitstable (17.8 miles). Whitstable Regatta, Whitstable (17.8 miles). Plum Day, Brogdale Collections, Brogdale Farm (8.2 miles). Classic Car Day, Doddington Place Gardens (3.4 miles). Whitstable Harbour Day, Whitstable (17.8 miles). Classic Car and Motor Show, Whitstable (17.8 miles). Artisan Cider Festival, Brogdale Collections, Brogdale Farm (8.2 miles). Herne Bay Festival, Herne Bay (22.6 miles). Faversham Hop Festival, Faversham (8.8 miles). Leeds Castle Food Festival, Leeds Castle (9.8 miles). Belmont WoodFest & Country Fair, Belmont House and Gardens, near Throwley (7.6 miles). Pear Day, Brogdale Collections, Brogdale Farm (8.2 miles). Leeds Castle Flower Festival, Leeds Castle (9.8 miles). Canterbury Food And Drink Festival, Dane John Gardens, Canterbury (18 miles). Tenterden Folk Festival, Tenterden (22.8 miles). Brogdale National Apple Festival, Brogdale Collections, Brogdale Farm (8.2 miles). Canterbury Festival, Canterbury (18 miles). Kent’s International Arts Festival and attracts over 60,000 visitors every year to 200 events in two weeks. Halloween at Belmont, Belmont House and Gardens, near Throwley (7.6 miles). Gala Day, Bredgar & Wormshill Light Railway (3.1 miles). Faversham Carnival, Faversham (8.8 miles). Christmas at Brogdale, Brogdale Collections, Brogdale Farm (8.2 miles). Leeds Castle Fireworks Spectacular, Leeds Castle (9.8 miles). Christmas Market, Belmont House and Gardens, near Throwley (7.6 miles). Kent Pavilions Crafts for Christmas Fair, Kent County Showground, Detling (10 miles). Faversham Christmas Market, Faversham (8.8 miles). Christmas in Whitefriars, Canterbury, Whitefriars Square, Canterbury (18 miles). Father Christmas at The Hop Farm, The Hop Farm, Paddock Wood (24.3 miles). Rochester Christmas Market, Castle Gardens, Rochester (17.4 miles). The Christmas Market, Leeds Castle (9.8 miles). Weekends. Rochester Dickensian Christmas, Rochester (17.4 miles). 10am – 5pm. Choral Canterbury, Canterbury Cathedral (18 miles). Show-stopping rousing carol services.